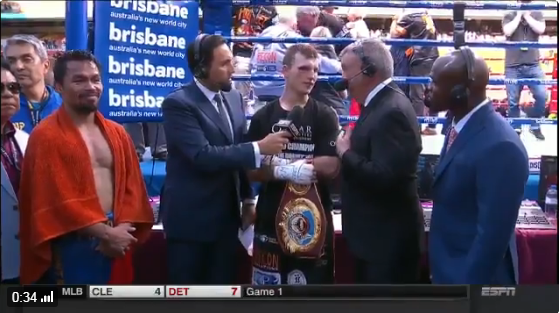 In an interview after the match, boxing legend and ESPN commentator Teddy Atlas told Jeff Horn directly: "I thought you lost." In Brisbane, Australia, a robbery was committed in epic proportion as Jeff Horn captured the WBO welterweight title via unanimous decision against Manny Pacquiao, despite being pummeled throughout. Boxing legend Teddy Atlas was not feeling this decision whatsoever and isn’t one to mince words, so he proceeded to tell Jeff Horn right to his face that he lost that fight.